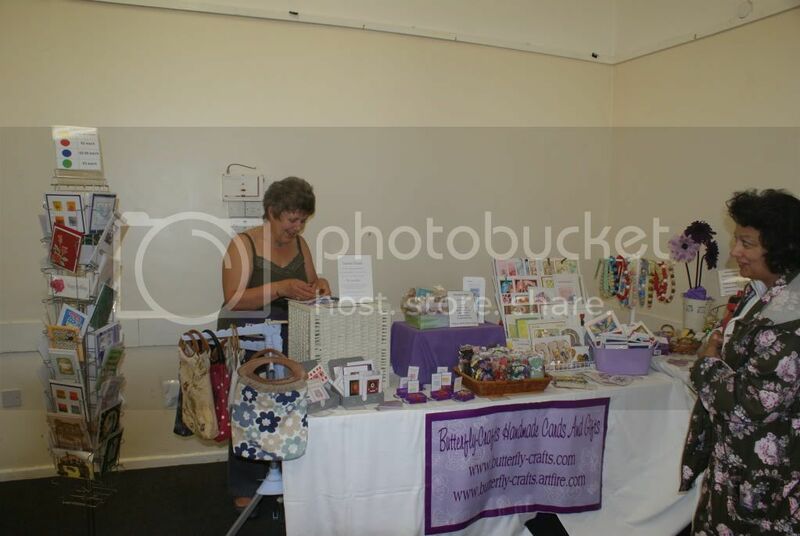 I love attending craft fairs, not only as a shopper but also as an exhibitor. 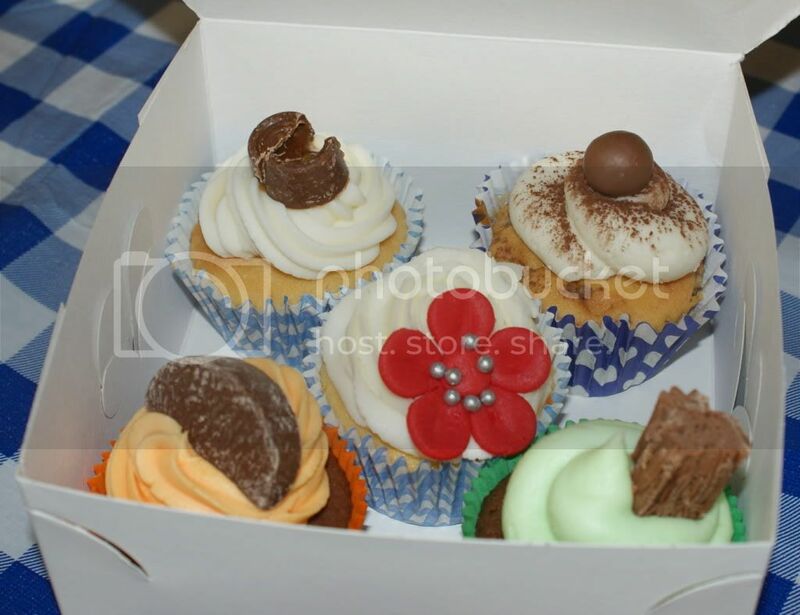 I love them because I can interact with my customers, see familiar faces and greet new customers, show off my products to new audiences and engage with other crafts people. I am also a very strong advocate for the handmade community and think that it is important people are given the opportunity to purchase handmade items and for that shopping experience to be made as easy as possible. 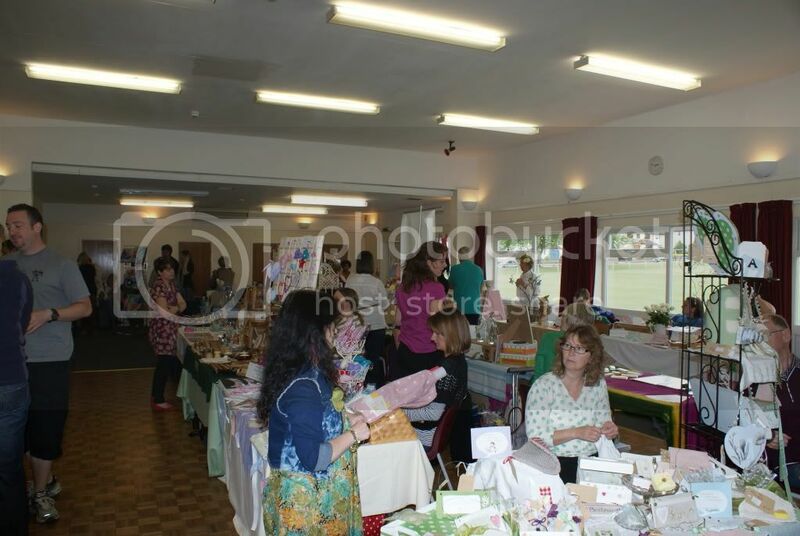 It was because of this that on May 14th I organised the Puckeridge Arts, Crafts & Gift fair in the village where I live. The day was a long one, my parents and I were at the hall bef ore 8am to get the keys and start setting the tables up. There would be 23 of us in total with other stall holders arriving from about 9.15 ready for the doors to open at 10.30am. I was as prepared as I could be with a floor plan of the room, but it was a juggle to fit everyone in, Dad and I managed it though – we just didn’t have many tables for the tea and coffee area although luckily the bar was open to sit in. 10.30 came around very quickly and I think the first visitors must have been waiting outside as there were people looking around straight away! 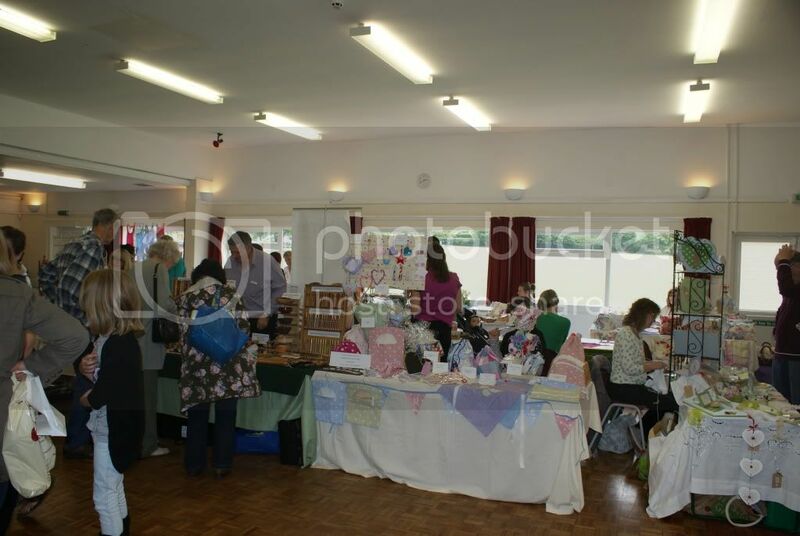 The visitors were treated to a delight of stalls including woodware, fabric gifts, jewellery, cupcakes, plus-sized clothes, peg dolls, plant pots, painted glass, crochet and knitting and more alongside three non-handmade stalls selling giftware. 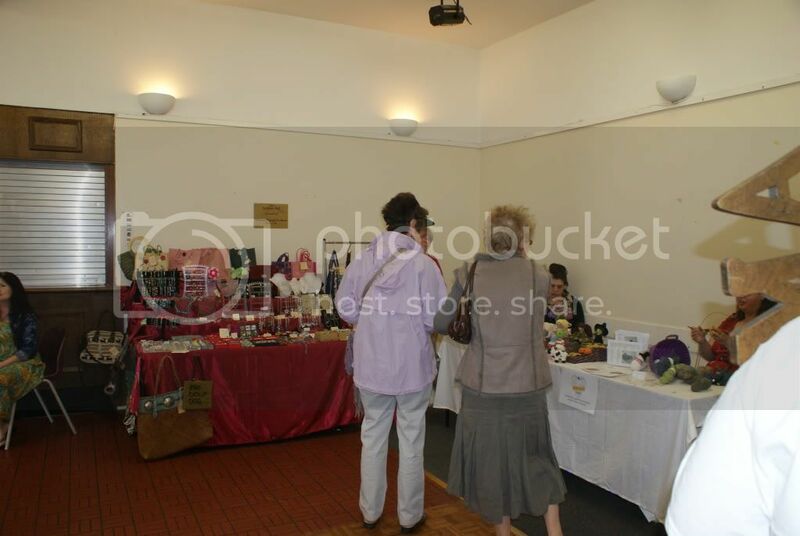 I had a stall too, in fact I had almost 18ft of space with Mum beside me selling plants she grows. The visitor flow was steady throughout the day with only a quiet “blip” over lunchtime. The FA Cup final didn’t put the ladies off and the stall holders I spoke to seemed happy with the day. My parents and I certainly couldn’t have tried any harder with the promotion! I was happy with the overall success of the day, I am waiting to find out if we will have coverage in the local paper (they did ask for photos!) but I have had good comments from visitors. 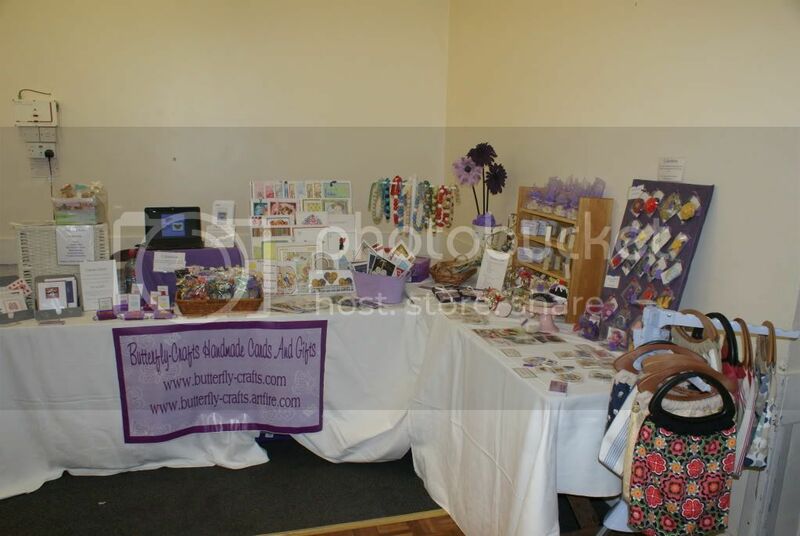 So much so that I am planning the next fair for later on in the year, the only difference being that it will be a 100% handcrafted stalls only event! – perhaps we will see you in November! What an elegant dream it was!